Детские коляски купить в интернет магазине магазин детских колясок новосибирск. Aaliyah Dana Haughton (January 16, 1979 – August 25, 2001), stage name Aaliyah, was an American R&B singer, dancer, fashion model and actress. Notable for recording several hit records, including three #1 R&B hits ("Back and Forth", "If Your Girl Only Knew", and "Miss You") and one #1 pop hit ("Try Again"). In 2001, Aaliyah's career was cut tragically short when she died in a plane crash at the age of 22. Aaliyah was born in Brooklyn, New York and grew up in Detroit, Michigan. Aaliyah signed with her uncle Barry Hankerson's Blackground label in 1993 and released her debut album, Age Ain't Nothing but a Number, in 1994. The album reached platinum status and featured the Gold-selling singles "Back and Forth", "Age Ain't Nothing but a Number" and "At Your Best (You Are Love)," a cover of the 1976 Isley Brothers single. It was briefly rumored that in 1994, when she was 15, she was married to R&B singer/songwriter R. Kelly, the producer of Age Ain't Nothing but a Number. VIBE magazine in 1995 published a copy of their marriage certificate and claimed Aaliyah had falsified her age as 18 so she and Kelly could be married. Both parties had the marriage quickly annulled when the press found out about the union. R. Kelly did not work on any of Aaliyah's future recordings. 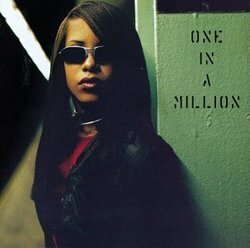 One in a Million, Aaliyah's second album, was chiefly written and produced by then unknowns Missy "Misdemeanor" Elliott and Tim "Timbaland" Mosley and released on August 27, 1996. The album eventually went triple platinum, making Aaliyah a major R&B star and igniting the successful careers of Elliott and Timbaland. One in a Million featured the international smash hit "If Your Girl Only Knew," the platinum single "One in a Million," and the gold single "The One I Gave My Heart To," a ballad written by Diane Warren. Tommy Hilfiger took notice of Aaliyah's "street but sweet" image and immediately signed Aaliyah onto print campaigns, runway shows, and a commercial. During this period, Aaliyah would also make guest appearances on albums by artists such as Missy Elliott, Timbaland & Magoo, Ginuwine and Playa, and Elliott, Timbaland and Playa's frontman Steve "Static" Garrett would remain Aaliyah's principal collaborators for the duration of her career. In 1997, Aaliyah appeared on the soundtrack album for the 1997 Fox Animation Studios animated feature Anastasia, singing the pop version of "Journey to the Past". The song was nominated for an Academy Award, and Aaliyah performed the song at the 1997 Academy Awards ceremony, becoming the first and youngest African-American female recording artist to perform at the yearly ceremony. Aaliyah had a huge hit in 1998 with "Are You that Somebody," the main single from the Doctor Doolittle soundtrack. Its video was the third most played on MTV that year, and the song's success began to make Aaliyah a household name. In 2000, she co-starred with Jet Li in the martial-arts film Romeo Must Die. The film was notable for its mainstream success when featuring Asian and African American characters in the lead roles with few white Americans in the cast. Aaliyah contributed four songs to the film's soundtrack album, including "Back in One Piece," a duet with DMX (who has a minor role in Romeo Must Die), and the international smash "Try Again". "Try Again" was the first song ever to reach number one on the Billboard Hot 100 based solely on the strength of its radio airplay, without any single sales factored (a 12" maxi single was released for consumer purchase, but only after the song had peaked). In 2002, she was showcased in her final role as Akasha in the film adaptation of the Anne Rice novel The Queen of the Damned. "We Need a Resolution," the first single from Aaliyah's self-titled, double-platinum third album, was released in spring of 2001. The album was a critical success, and the video for "We Need a Resolution" received heavy MTV2 play. Most of Aaliyah was recorded in Australia, as the singer was filming scenes for Queen of the Damned, released by Warner Bros. in 2002. The album debuted at #2 on the Billboard charts, and before her death, the album had already sold Gold (500,000 copies). In the summer of 2001, Aaliyah filmed the video for Aaliyah's intended second single, "More than a Woman". After the video was completed, however, it was decided "Rock the Boat" should be the second single instead, and the "More than a Woman" video was temporarily shelved. Aaliyah traveled to the Bahamas in August 2001 to film the "Rock the Boat" video with director Hype Williams. After filming was completed, Aaliyah and her entourage boarded a small airplane, which was to take them to Miami, Florida. The plane took off but quickly descended and crashed in the forest. All nine people aboard, including Aaliyah, the pilot and the other seven passengers, were killed in the crash. Some died immediately; some later, in the hospital. Investigators determined the plane was overloaded by several hundred pounds, and an autopsy revealed cocaine and alcohol in the pilot's blood. Reports have also suggested the pilot of the plane falsely obtained his licence from Black Hawk Airways by showing hundreds of hours never flown, which suggests he was not qualified to pilot the plane in the first place.